This past Thursday a new book, ‘La Bibbia dell’Amicizia: Brani della Torah/Pentateuco commentati da ebrei e cristiani’ (The Friendship Bible: Passages of the Torah / Pentateuch commented on by Jews and Christians), hit the shelves in Italian bookstores. (CMJ’s note: The Talmudic Jews and the Novus Ordo freely use the words Torah, Tanakh, Hebrew Bible and pretend that they are the same as the Pentateuch or the first five books of the Old Testament.) It’s being published by Edizioni San Paolo, a publishing house connected to the Society of St. Paul. The book has two editors, — Marco Cassuto Morselli, president of Amicizia ebraico-cristiana di Roma (Jewish-Christian friendship in Rome) and editor of Italian editions of works by Elia Benamozegh, Jules Isaac, André Chouraqui, Cecil Roth, Aimé Pallière, Moshe Idel, Jiri Langer and Barukh Spinoza, — and Fr. Giulio Michelini, Francis’ retreat master of 2017, who is immersed in all things Talmudic, and looks to the rabbis to explain the Christian religion. The book also has two prefaces, the first by Francis, and the second by Rabbi Abraham Skorka. This is not the only time Skorka appears in the volume, he also appears in a featured commentary. The book has original introductions to each of the five books of the Hebrew Bible and is followed by thirty-five passages from the Hebrew Bible with exegesis. In his preface, Francis stresses that there is much to learn from the Hebrew Bible. One small problem is that the collection of books which this ‘Friendship Bible’ is based off, were not assembled until after Jesus ascended into heaven and Jerusalem was destroyed by the Romans. The compiler Akiba ben Yosef (aka Rabbi Akiva) drew up the canon which would became the Tanakh in A.D. 95. He believed that the messiah wasn’t Jesus the Christ but a man named Bar Kochba. In his Torah he included the rabbi created Halakahic laws and set out to destroy the credibility of the Gospels. This text ultimately became the Hebrew Bible or Masoretic Text when it was codified by Aaron Ben Asher in the A.D. 10th century and was latter given the stamp of sacred authorization by none other than the anti-Catholic, Maimonides! Coincidentally, the book was released on the Novus Ordo’s Italian religious feast Day of Judaism which takes place on 17 January every year since 1990. This day was so chosen because it sets a Talmudic tone for the Novus Ordo’s Week of Prayer for Christian Unity (18-25 January). Below are translated excerpts from the two prefaces by Francis and Skorka. The prefaces can be found online in the original Italian Servizio comune all’umanità (Francis) and Antropologia di Dio (Skorka’s is incomplete), L'Osservatore Romano, Anno CLIX n. 12 (48.040), mercoledì 16 gennaio 2019, pagina 11 (click here). They can also be found here (Francis) and here (Skorka complete). The Friendship Bible is an attractive but very challenging project. I am well aware that we have in the past nineteen centuries of Christian anti-Judaism and that in comparison a few decades of dialogue is a small thing. However, in recent times many things have changed and others are still changing. We need to work harder to ask for forgiveness and to repair the damage caused by misunderstandings. The values, the traditions, the great ideas that identify Judaism and Christianity must be put at the service of humanity without ever forgetting the sacredness and authenticity of friendship. The Bible makes us understand the inviolability of these values, a necessary premise for constructive dialogue. The best way to talk, however, is not just talking and discussing, but making plans and realizing them together with all those who have good will and mutual respect in friendship. There is a rich complementary relationship that allows us to read together the texts of the Hebrew Bible helping each other to dissect the riches of the Word of God. The common goal will be to be witnesses of the Father’s love all over the world. For the Jew like the Christian, there is no doubt that love for God and for the neighbor summarizes all the commandments. Therefore, Jews and Christians must feel like brothers and sisters, united by the same God and by a rich common spiritual patrimony, on which to build a foundation and continue together to build the future. It is vitally important for Christians to discover and promote knowledge of Jewish tradition in order to be able to understand themselves authentically. The study of the Torah is part of this fundamental commitment. This is why I want to entrust your journey of research to the words of the invocation that every Jewish believer recites daily at the end of the amidah prayer: “May the doors of Torah, wisdom, intelligence and knowledge be open to us, the doors of nourishment and sustenance, the doors of life, of grace, of love and of mercy and of approval before You”. I wish you continue on the journey with perseverance and invoke God’s blessing on everyone. As one reads in the preface, Francis implies that Catholicism is anti-semitic at it’s core when he states, “we have in the past nineteen centuries of Christian anti-Judaism”. His diagnosis for this, “Christian anti-Judaism” is “to work harder to ask for forgiveness and to repair the damage caused by misunderstandings.” How does he propose, “repair[ing] the damage”? Why by simply adopting Jewish, “value$, traditions, and ideas”. He then states that these Jewish value$ are inviolable and necessary for “constructive dialogue.” A suggestion Francis, why not drop the act of pretending to be a Catholic, go get your one of your kippahs, put it on, and have your humble self walk to the synagogue for shabbat? It only gets worse as he wants pewsitters to understand the Hebrew Bible through the tyrannical minds of the rabbis. He ends his preface by stating that only by “discover[ing] and promot[ing] knowledge of Jewish tradition” will Christians be able to understand themselves. As an example of this Francis turns to the rabbis and their anti-Christian Amidah prayer. In a previous post, The symbolism of the gifts Francis received and gave while at the Great Synagogue of Rome or Francis’ occult day at the synagogue, the ‘Amidah’ - Birkat Ha’Minim invocation is explained and we quote it below. Notice in the second part of the excerpt, rabbi Riccardo Di Segni mentions the end of the ‘Amidah’ prayers. This is interesting because the public watching Francis’ trip to the synagogue must not be sufficiently processed yet to hear the remainder of the ‘Amidah’. Di Segni’s omission of the ‘benediction’ #12 speaks volumes as it will set the tone for what else is about to transpire. So what exactly is the ‘Amidah’ prayer? This invocation is 1927 years old and in the 12th ‘benediction’ the Talmudic Jews curse Christians. The Talmudists are required to pray this by Halachic law not once, not twice, but three times a day in order to be considered Jewish! The Amidah prayer in its section twelve (formerly section nineteen) contains the Birkat HaMinim, the curse on Christians ("Ha' or 'la' 'minim"): Kerega karishah v'khol tikvah tehi al ve laminim ("Let there be no hope for the wicked and for Christians"). The curse has since been disguised by telling inquiring gentiles that the text is targeted not at laminim but at lamalshinim ("slanderers") and is aimed at malicious gossips, not Christians. The goyim usually believe this nonsensical cover story. It would be "antisemitic" not to believe it. The truth, however, may be discovered in any uncensored edition of BT Berakhot 28b-29a. The failure to recite this section of the Amidah "prayer" was considered a sure indication that the Judaic who failed to say it was a crypto-Christian. Hence, recitation of the Birkat HaMinim was a litmus test to determine if a Judaic was secretly harboring Christian beliefs. In the past, Judaics who failed this test were subject to the rabbinic penal laws of the cherem, including beating, whipping and in extreme cases, execution. The Birkat HaMinim prayer also consists in the supplication that Christians be "swiftly cut down (m'heriah... yika reitu)... doomed (toveid)... destroyed (ut mahgeir)" and "uprooted (fe'akeir)." Judeo-Churchians refer to this curse as a "blessing" — "the blessing of the Amidah." The patristic authority Jerome (342-420) complained bitterly, in his commentary to Isaiah, about the Jews’ condemnation of notsrim (believers in Jesus, “the Nazarite”), in the benediction of the daily Amidah known as Birkat ha-Minim: "The Jews . . . after having been invited by the Lord to do penitence . . . up to the present day persevere in blasphemy and three times a day in all their synagogues they anathemize the Christian name." His complaint echoes even harsher early Christian polemics, such as that of the Church Father Epiphanius (315-403): "Not only do Jewish people have a hatred of their enemies; they even stand up at dawn, at midday, and toward evening, three times a day when they recite their prayers in the synagogue, and curse and anathemize them. Three times a day they say, 'God curse the Nazoreans.' For they harbor an extra grudge against them . . . because, despite their Jewishness, they preach that Jesus is the Christ, the opposite of those who are still Jews, for they have not accepted Jesus." source: Jewish Ideas Daily, Do Jews Curse Christians? For those who need more background on this ‘benediction’ which ritually curses Christianity and its civilization as malkhut zadon, see the Encyclopedia Judaica (1977): AMIDAH - Volume 2, pp. 841-2; BIRKAT HA-MINIM - Volume 4, p. 1035; JABNEH - Volume 9, p. 1176; MIN - Volume 12, p. 3; and SAMUEL HA-KATAN - Volume 14, pp. 815-6. 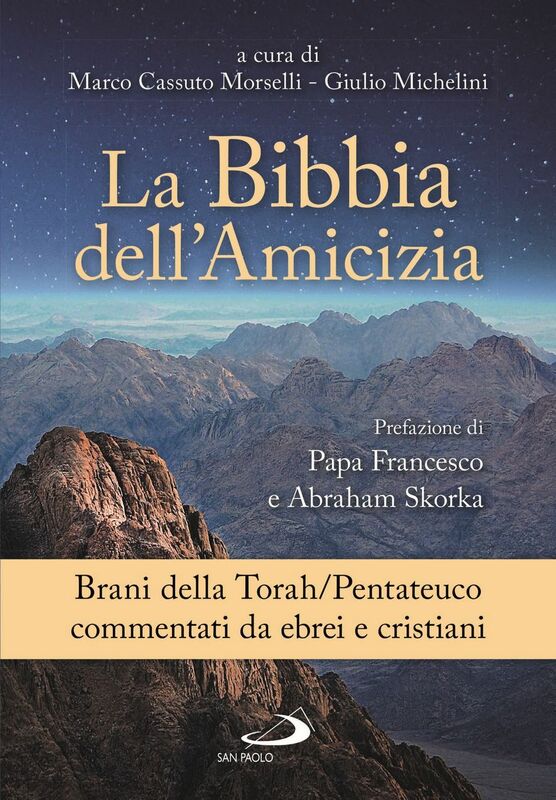 After reading it ask yourself, ‘Was Francis blessing the readers of his preface or cursing them backhandedly?’ One more thing to point out, notice how old the ‘Amidah’ - Birkat Ha’Minim invocation is? Nineteen hundred and twenty-seven years. How long did Francis state at the beginning of his preface that “Christian anti-Judaism” had been happening? Nineteen centuries or nineteen hundred years. The dishonest Francis is projecting here the sins of his favorite people onto the people he most despises. Although the Bible has been considered as a sacred text... its interpretation has been the cause of disagreements, disputes and, finally, resentments and hatred that led to all kinds of persecutions and killings. During the Middle Ages disputes were organized between Jews and Christians, such as the famous ones in Paris (1240), Barcelona (1263), Ávila (1375) and Tortosa (1414), during which the word of God in the hands of men generated more rancor than understanding. Intellectual arrogance, spiritual arrogance, and blindness made many believe that the unique and absolute interpretative truth was in their own hands and that they had to impose it on others. These disputes were... conflicts between intellectual arguments from which the living God was expelled, who was replaced — at best — by a God as a concept, whose essence was supposed to be deeply known by polemicists. The image that the Bible reveals to us about God is diametrically opposed to this. The dialogue between man and God, through which the former sees first glimpses of a reflection of his Creator, can be “full”. So it was when the people, on Mount Sinai, in front of God's proposal to accept a pact with the ethical standards that he would reveal, replied, “Everything the Lord said, "We'll do and we'll listen.” (Ex 24.7). The opposite happens when God warns the people of Israel: “I will hide my face [at the people of Israel] on that day, for all the evil they have done, turning to other gods” (Deut 31:18). Through this dialogue between the celestial and the terrestrial, it was revealed to man in the biblical text what conduct God expects from individuals, but the ultimate truth of his working with his creatures and the sense of their existence is an unknown mystery for every man. The book of Yov, or Job, and multiple biblical passages are clear in this regard. [Cf. Ger 12,1-5; see in particular the exegesis of David Kimḥi of v. 5; Ab 2,1-4] The presence of the Creator must be sought by man day by day, moment by moment. It is much more than a concept or an idea. ***The development of human knowledge has revealed the limits of the philosophical thought that aspires to include God as the last of the ideas to be understood. Martin Buber has developed a critique well founded to such intellectual structures, which he exposes in the essays collected in The Eclipse of God. [M. Buber, The Eclipse of God. Considerations on the relationship between religion and philosophy, Editions of Community, Milan 1983.] He explains that an idea is nothing more than the image of an image. When the mind elaborates an idea, according to Buber, creates an image that is ultimately material. In confining God within the limits of an intellectual creation we are, therefore, subtly transgressing the commandment of the Commandments which prohibits us from making any image, inspired by the to material things that represent God. His Presence, therefore, is to be found in existence itself: in the subtle messages it offers us nature (Ps 19), and in the search for oneself and one's neighbor. Pope Francis has developed this vision in his life in his particular and specific dialogue with God and with the people. From his position, founded on faith in Christ, he believes that the interpretation of the biblical texts by Jewish scholars rather than leading to opposition serves to clarify and understand the texts themselves more deeply. The paragraph of Nostra Aetate in which it is clarified that God maintains his covenant with the Jewish people, which has never been abolished, has undoubtedly been for Bergoglio the theological basis for seeking in dialogue with the Jews a complementary relationship that allows him to reach a vision He integrates his own faith, as he himself writes in his apostolic Exhortation Evangelii gaudium: "God continues to work among the people of the Old Covenant and to bring forth treasures of wisdom which flow from their encounter with his word. For this reason, the Church also is enriched when she receives the values of Judaism. While it is true that certain Christian beliefs are unacceptable to Judaism, and that the Church cannot refrain from proclaiming Jesus as Lord and Messiah, there exists as well a rich complementarity which allows us to read the texts of the Hebrew Scriptures together and to help one another to mine the riches of God’s word. We can also share many ethical convictions and a common concern for justice and the development of peoples. The theology of Francis is strongly pragmatic. Religiosity, in his vision that I share, it can not be essentially confined to academies, meditation and spiritual elevation. These serve for the formation of the “fuel” with which the life of the simple individual must be enlightened in his daily struggle to live with dignity. This is what Jerusalem represents for him: beyond his name, and of its history of holiness and spirituality, the current challenge is that that story has a continuity in the present. That his inhabitants discover in each other the human condition that they share. Perhaps — and this would be the central issue that mortified Amichai — is the dramatic dissociation between the heavenly and earthly Jerusalem, between the city that must summon all peoples to peace [see the prophets Isaiah (Isaias), Micah (Micheas), Zachariah (Zacharias)] and the reality of discord of the present. The Bible must be read to inspire its readers to delineate their own present and plan for the future. The exegesis that bind us to the past generations allows a deep understanding, but at the same time are testimonies of readings of past times. The new exegesis, together with the academic one, must present the existential vision of the present and give projective models for the future. Rav Abraham Yoshua Heschel in his book, Man is Not Alone, has coined a very significant sentence that sums up the above mentioned incomplete idea: “The Bible is not a theology of man but an anthropology of God.” [A.J. Heschel, Man Is Not Alone. A Philosophy of Religion, Rusconi, Milan 1987.] It is the indestructible Shrine whose precepts are, as expressed in daily prayers, “our life and the length of our lives”. It is the text that God recommended to Joshua (Josue) to have for ever present and meditate day and night; a precept that the Jewish people interpreted should be extended to all its members and for all times (see the exegesis of Rav David Kimhi ad locum). One of the sages of the Mishnah states: “Investigate in it and investigate it again [the Torah], because everything is found in it” (Pirkei Avot 5:24). In the days of the great revolt against Rome during the reign of Hadrian, the masters were forbidden to teach the Torah. The oppressors claimed to destroy the Jewish identity by forbidding its transmission and formation. Rav Haninah ben Teradion challenged the oppressor by teaching the Torah in public. The Romans captured him, laid him on a pyre, surrounded his body with the scroll of the Torah with which he taught. And they lit the fire. At the moment of utmost sorrow his students asked him: “Master, what do you see?” The Rav answered them: “I see the scrolls that burn and letters that go up flying in the air.” (Avodah Zarah 18a). Many Torah scrolls had the same fate during the next two millennia, like other sacred writings: their letters went up, flying in the sky, along with the cries of those who were sacrificed with them, but came into our hands. This Bible of Friendship seeks to gather and shape them in a text that can be read and analyzed in a frank dialogue, in which each strives to understand the other. Since the time of history in which the tower of Babel, human arrogance prevailed over that humility that God expected as the attitude of his creatures, as masterfully explained by Umberto Shemuel Cassuto [U.S. Cassuto, A Commentary on the Book of Genesis. From Noah to Abraham, Magnes Press, Jerusalem 1959, 154-158.] It was the incomprehension of the language of the other and the arrogance of considering that one’s language is the only appropriate one several of the causes that led to the failure of that nefarious project. The antithesis to this story is found, according to Cassuto, in Sophonias 3: 9-11, where we read: “Then I will transform the language of the peoples into a clear language, in which they all cry out in the Name of the Lord, to serve him one at the side of the other.” It is a verse that summarizes the essence of this Preface to the Bible of Friendship, and which we hope will inspire the establishment of a language of universal understanding that will serve, in turn, as one of the foundations in the construction of a better reality. This is a lot to unpack. We will try to be as brief as possible. The preface begins with Skorka writing that Catholics are, ‘arrogant’ and ‘blind’ to “believe that the unique and absolute interpretative truth was in their own hands and that they had to impose it on others.” Skorka continues, “God is diametrically opposed to this” because his (and the rabbis) interpretation told them so. What chutzpah! It only get worse from here on out. Next Skorka writes of a false prophet from the Prophecy Of Jeremias (Jeremiah). Notice, this has nothing to do with the book’s subject matter (besides telling what Catholics what to believe) which is the first five books of the Old Testament — Genesis, Exodus, Leviticus, Numbers, and Deuteronomy. Skorka’s, “God is a dynamic being” is footnoted and notes this immanentism comes from the Hasidic pseudo-philosopher Martin Buber, who was obsessed with conjoining irreconcilable opposites into a pagan Judaism. Immediately following this paragraph Skorka explains how Francis has incorporated the previously mentioned Hasidic sophist Martin Buber’s concepts into his beliefs and actions. One of these concepts is that one cannot possess an idea of God because it is, “nothing more than the image of an image” and “when the mind elaborates an idea... [it] creates an image that is ultimately material... therefore, subtly transgressing the commandment of the Commandments which prohibits us from making any image, inspired by the to material things that represent God.” Skorka continues that Francis, “believes that the interpretation of the biblical texts by Jewish scholars rather than leading to opposition serves to clarify and understand the texts themselves more deeply.” The rest of this paragraph glowing mentions Nostra Aetate and Evangelii gaudium. To call this preface garbage is an insult to garbage everywhere! Next mentioned in the preface is Ludwig Pfeuffer (aka Yehuda Amichai), the national poet of Israel, and his poem ‘Jerusalem’. Pfeuffer was a terrorist member of the Haganah and a staunch Zionist. Skorka goes on to explain that Pfeuffer is “mortified” that heavenly Jerusalem and earthly Jerusalem are disassociated. Yeah right, the Zionist Pfeuffer is most likely “mortified” that Jerusalem still has Moslems and Christians in it. Skorka continues to lay it on quoting Rabbi Abraham Joshua Heschel, then mentioning the exegesis of the previously mentioned Rav David Kimhi, and finally quoting the Mishnah from the Pirkei Avot. Rabbi Heschel had this to say of Christians, “There are those who would like to attack their bodies. I want to attack their souls.” It’s safe to say that Rav David Kimhi would be in agreement. The quote from the Mishnah (part of the Talmud) and referenced as from the Pirkei Avot (Ethics of the Fathers) is, “Investigate in it and investigate it again [the Torah], because everything is found in it.” This is attributed to Ben Bag-Bag, the rabbinic sage and disciple of Hillel, and means that one should study the Talmud in depth not the Bible as Rabbi Skora leaves readers to wrongly imagine. This same quote from the Mishnah was used by the late U.S. Supreme Court Justice Antonin Scalia in one of his opinions. The Pirkei Avot, “presents the laws of interactions between Jews and Gentiles and/or idolaters (from a Jewish perspective).” What does any of this have to do with Catholicism besides attacking it? Subsequently a story from the Avodah Zarah (i.e. foreign worship, idolatry) part of the Talmud states that the Romans burned Haninah ben Teradion, who believed the Shekinah (the female aspect of the Jew’s androgynous god) rests on those who study the law, at the stake with his Torah scroll. Skorka then implies that many Christians over the next two millennia burned Torah scrolls and other Jewish religious texts. He concludes this, “This Bible of Friendship seeks to gather and shape [the burned Torah scrolls and other burned Jewish religious texts] in a text that can be read and analyzed in a frank dialogue”. We ask again, what does any of this have to do with Catholicism besides attacking it? In his conclusion Skorka turns to the Tower of Babel and looks to another rabbi on how to interpret Genesis. This time it’s Rabbi Umberto Shemuel Cassuto, who was against assimilation and yes was a Zionist, that Skorka looks to. It’s not much to infer with Skorka using anti-Catholic rabbis and pseudo-philosophers in his preface to the Bible of Friendship that “the establishment of a language of universal understanding that will serve, in turn, as one of the foundations in the construction of a better reality” being referred to are the universal adoption of the Noahide laws and a reign of Judaic Racial Supremacy that both would entail. What a nightmare! Francis and his rabbinical cronies want you aboard. Francis and his roving ambassador Rabbi Skorka are a one two punch aimed at two separate audiences (Christians and Talmudic Jews) at getting aboard the apostasy express, one as passengers, the other as the conductors. Get onboard with this anti-Catholic bible book or else... Recall a few of Francis’ rants, that he calls homilies, directed at those who do not accept his re-reading of the Bible: the obstinate do not dialogue; don’t be a Christian with a stubborn heart because they close off the activity of the Holy Spirit; and you are a crippled christian. Francis will call you these names and more if you do not want to imbibe the anti-Catholicism of the rabbis. 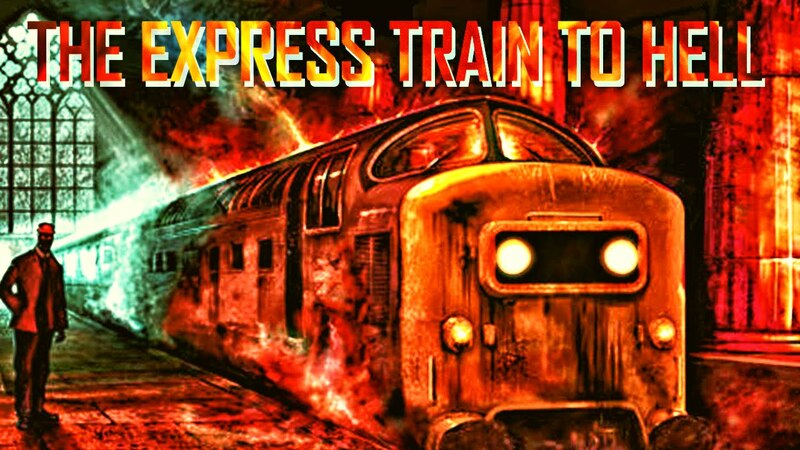 So either drink up and go down the railroad track to perdition or refuse to board the train and shun its conductors. It’s your choice. One final note, the word ‘drukn’ used in this post’s title is Yiddish for printing press. As we have written more than a few times on this blog, Francis and his revolution will only stop when St. Peter’s resembles a synagogue and the Vatican a shtetl. Antichurch lets the Pharisees explain Holy Scripture. But the Church has no friendship with antichrist synagogue of Satan.